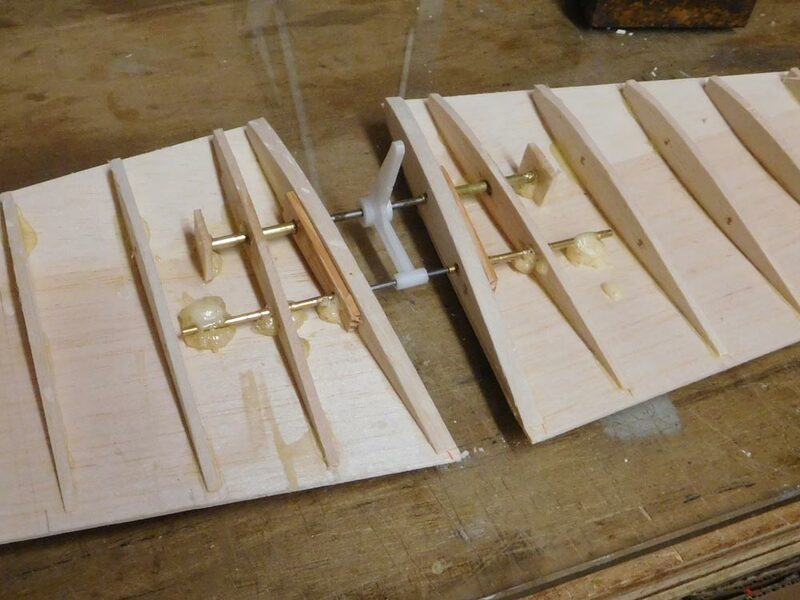 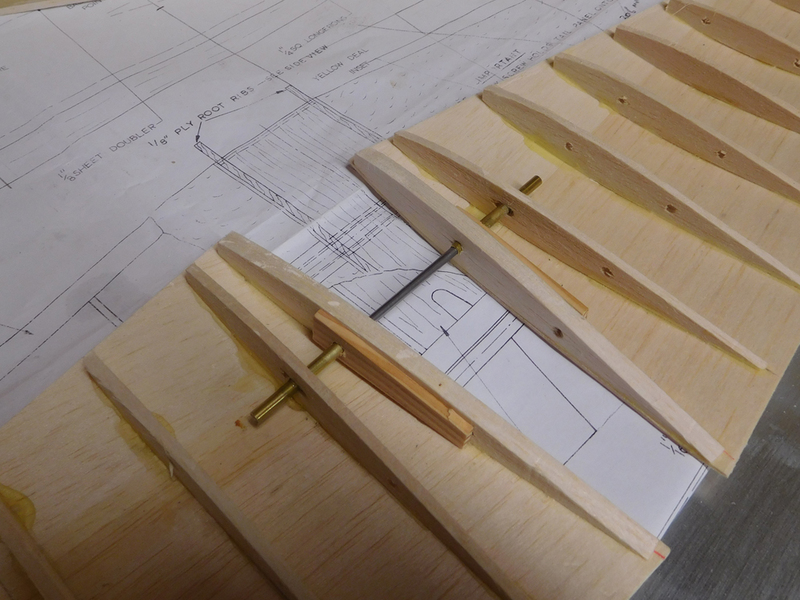 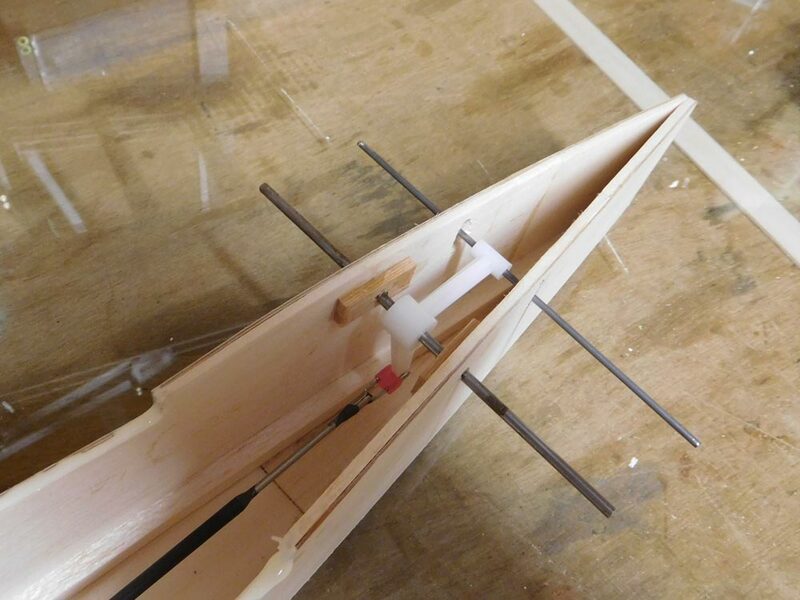 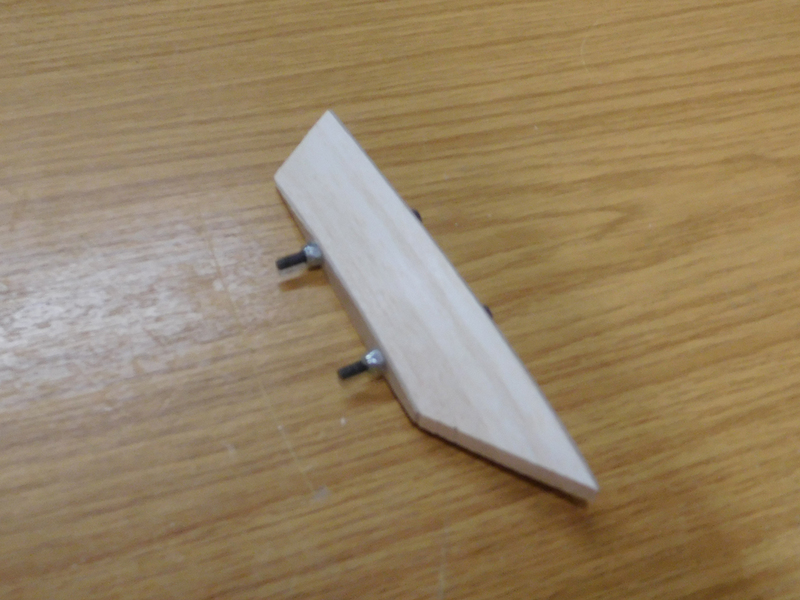 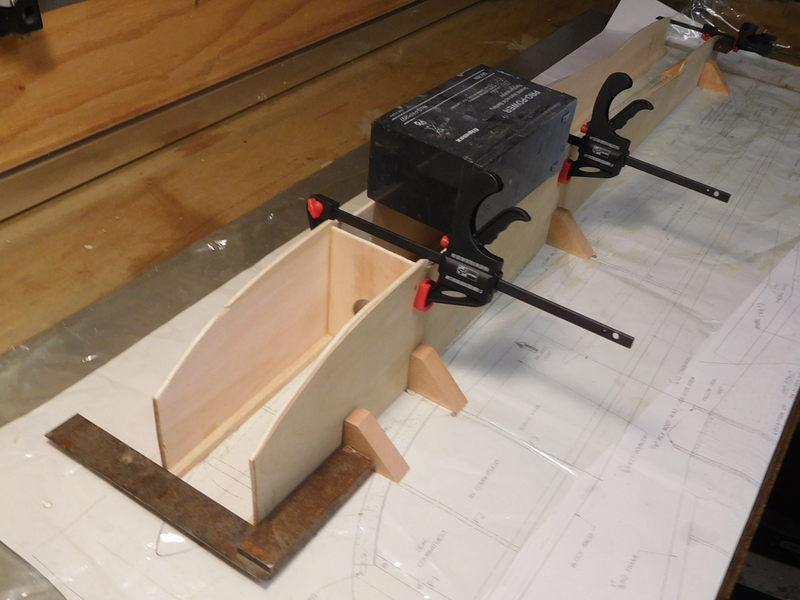 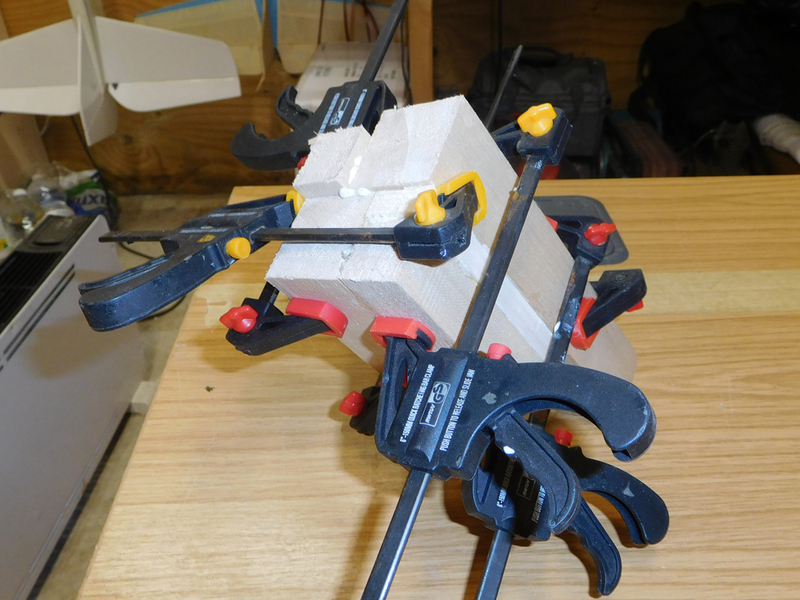 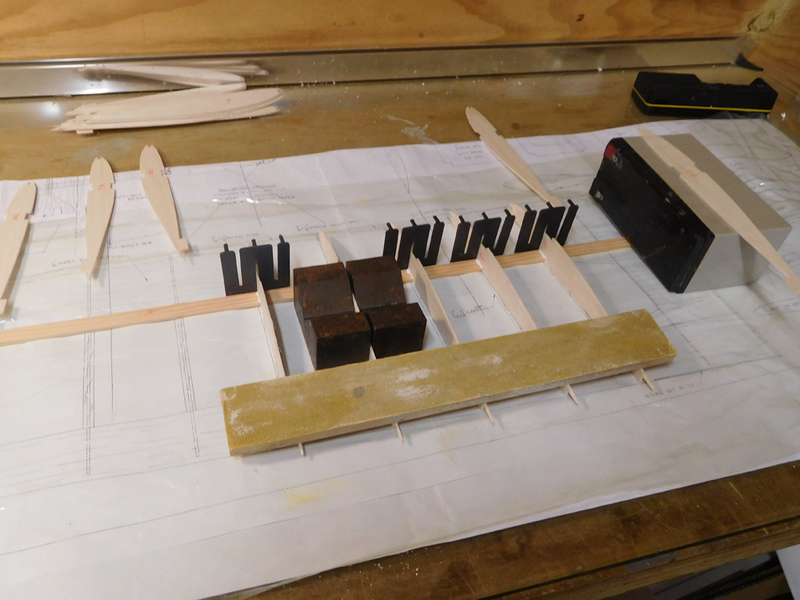 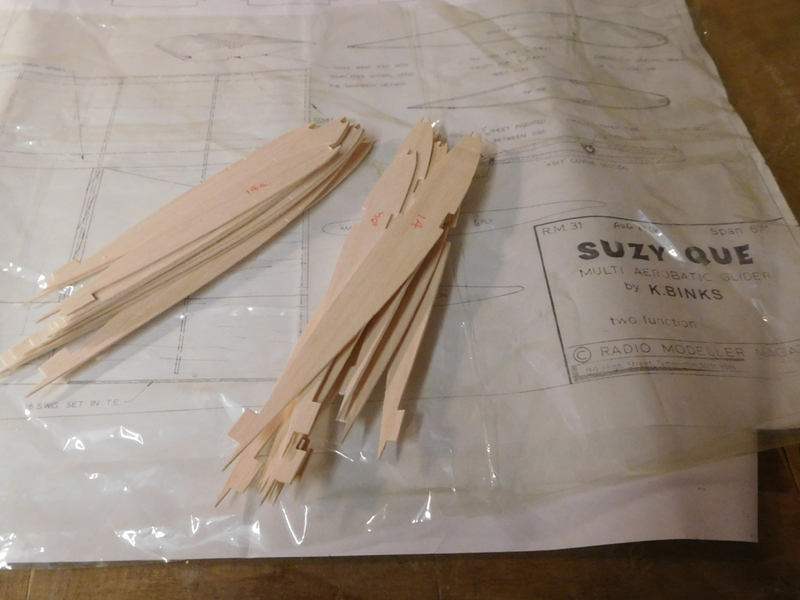 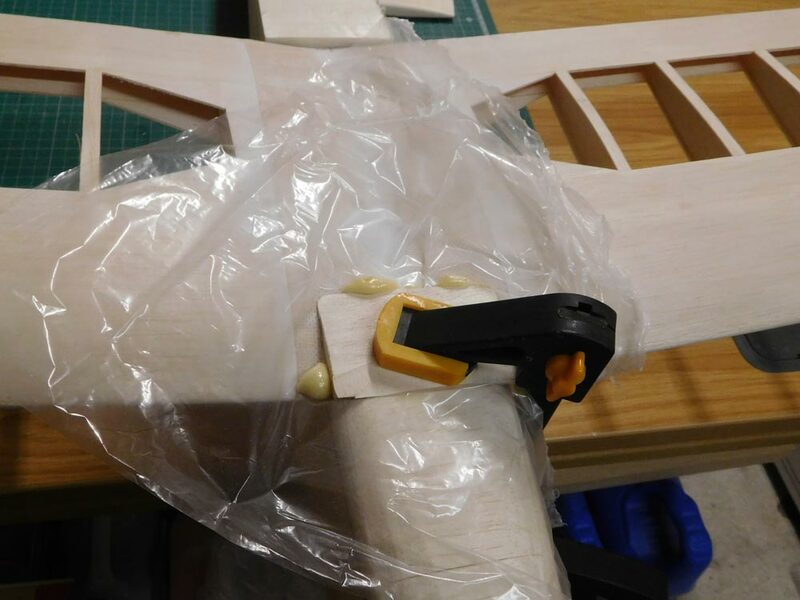 Fuselage sides joined and clamped. 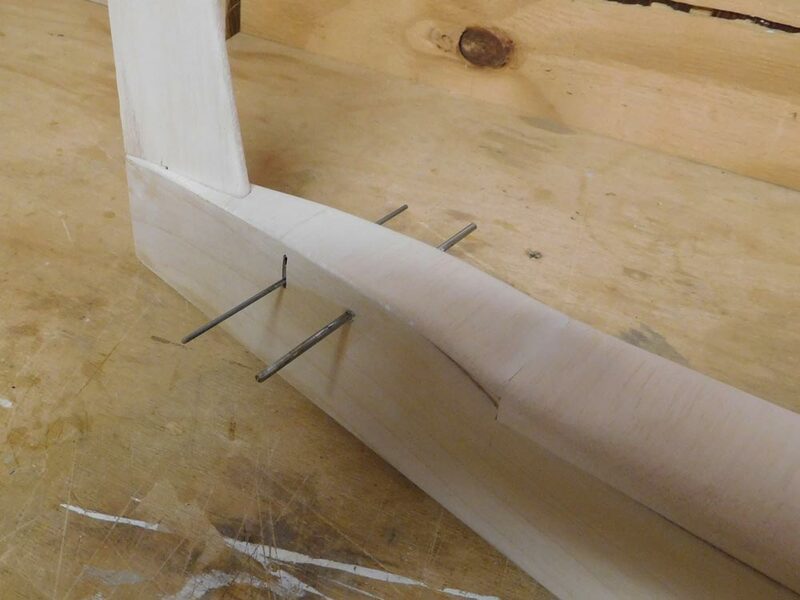 Jig was needed to hold the sides while nose former F1 glued in place. 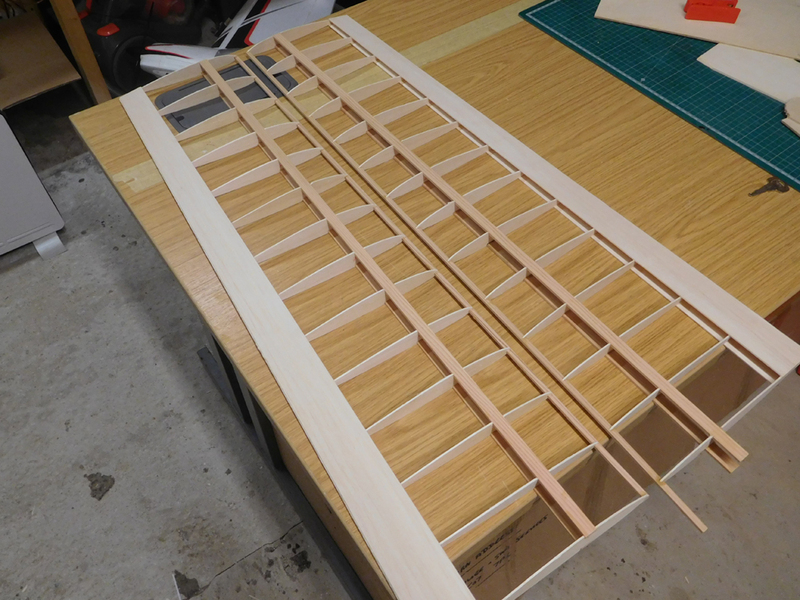 Bottom sheeting in place. 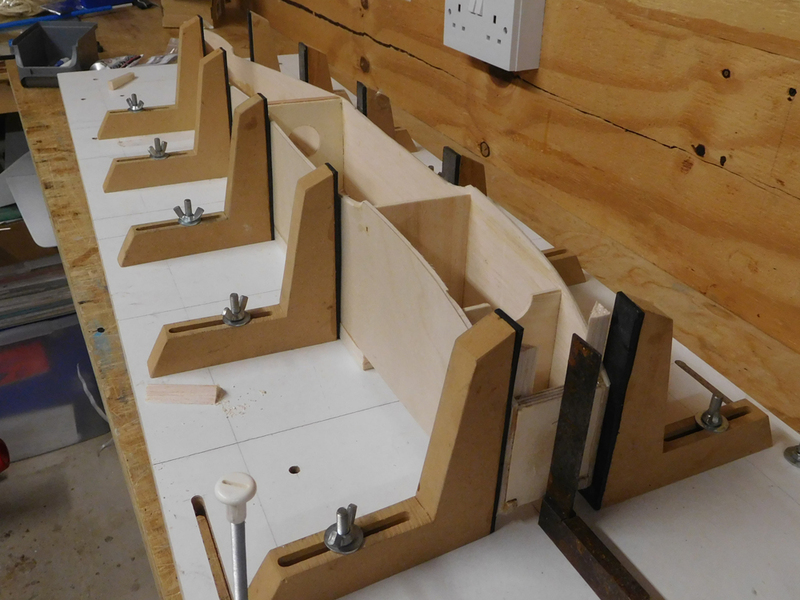 Middle pic shows the nose block and the final pic shows the nose block in place ready for shaping. 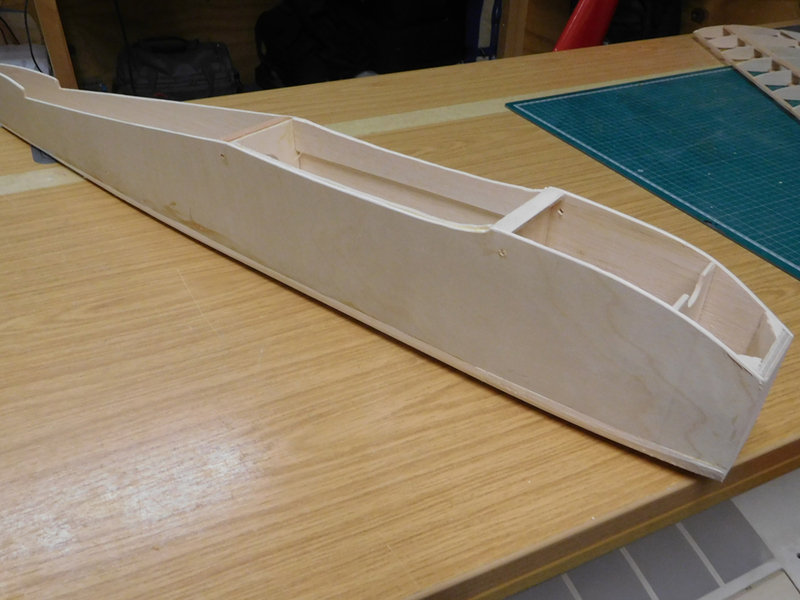 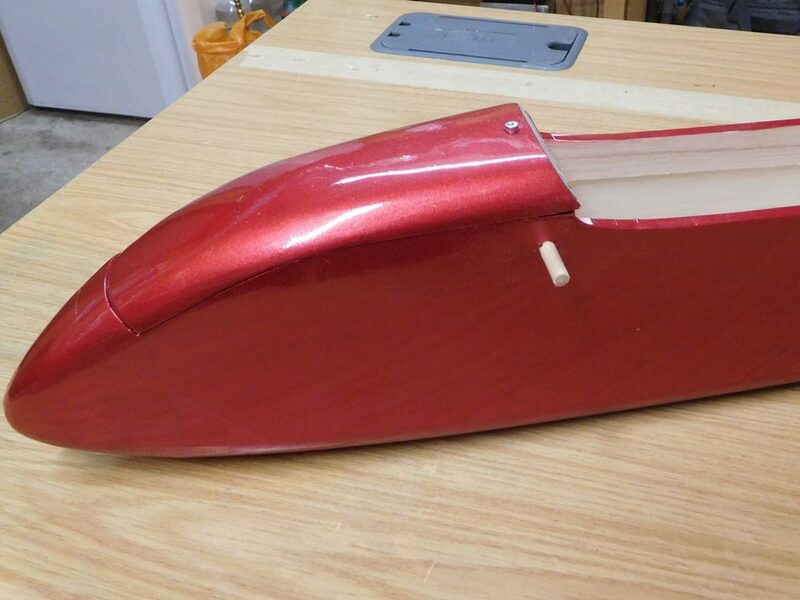 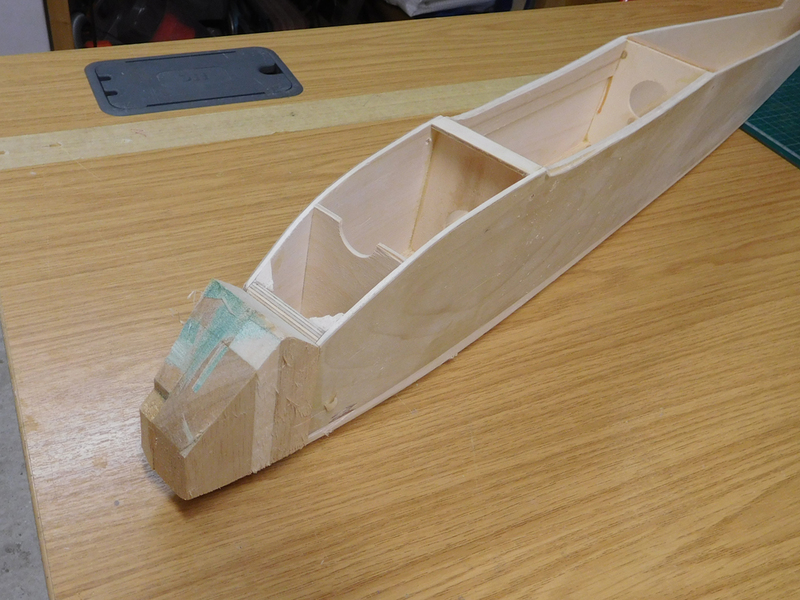 The model has an all moving tail, so the top decking has been left of until I the tail is fitted and the horn mechanism is fitted. 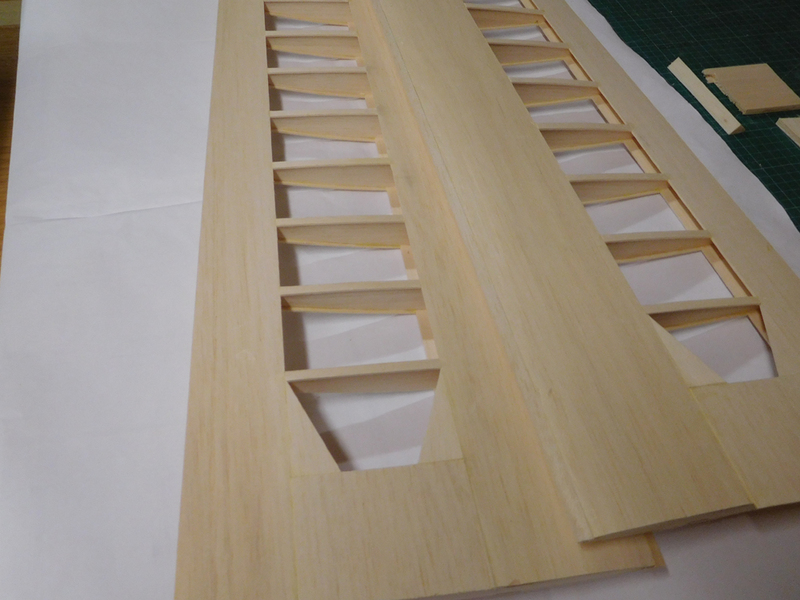 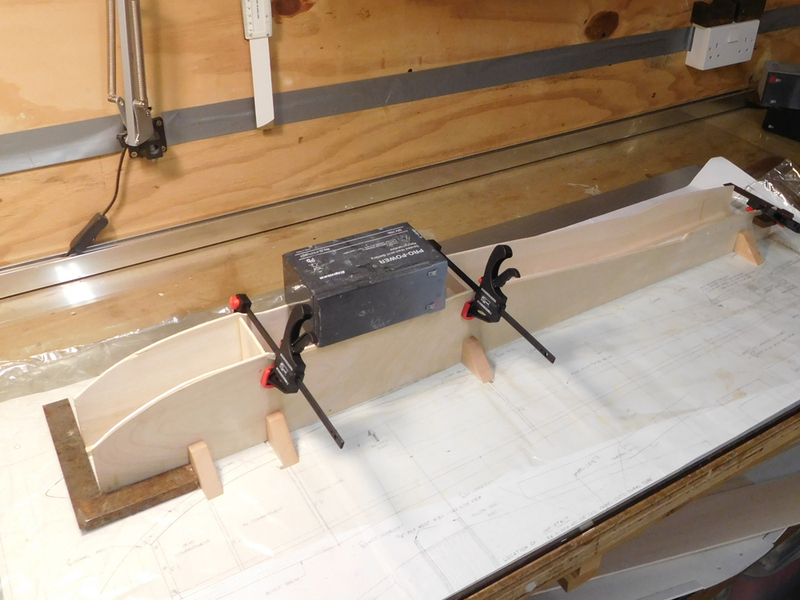 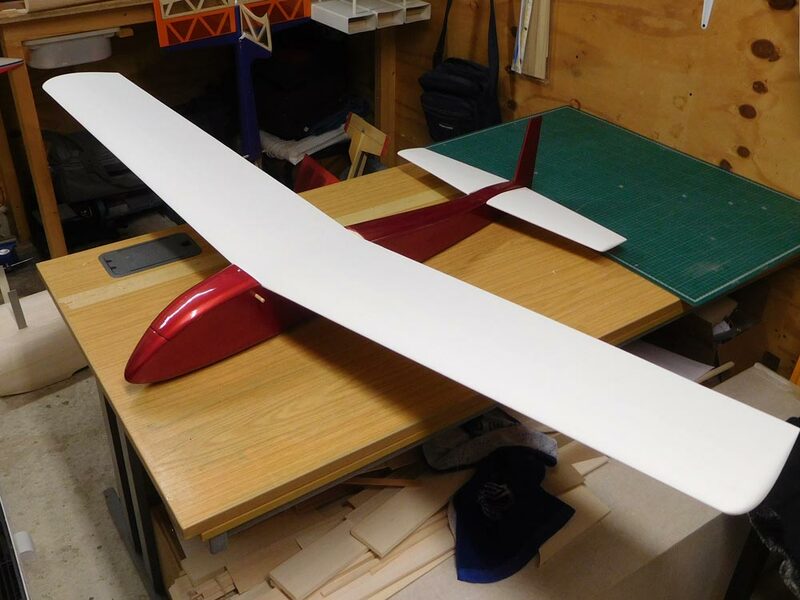 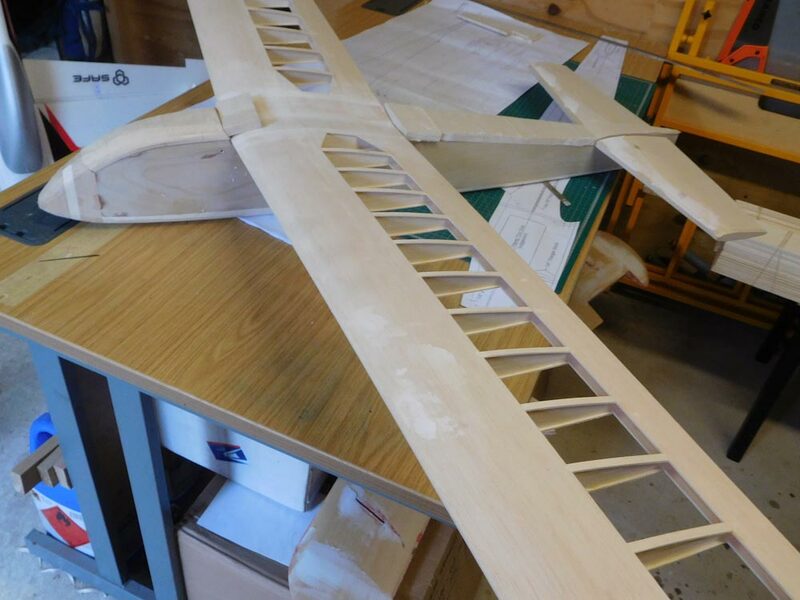 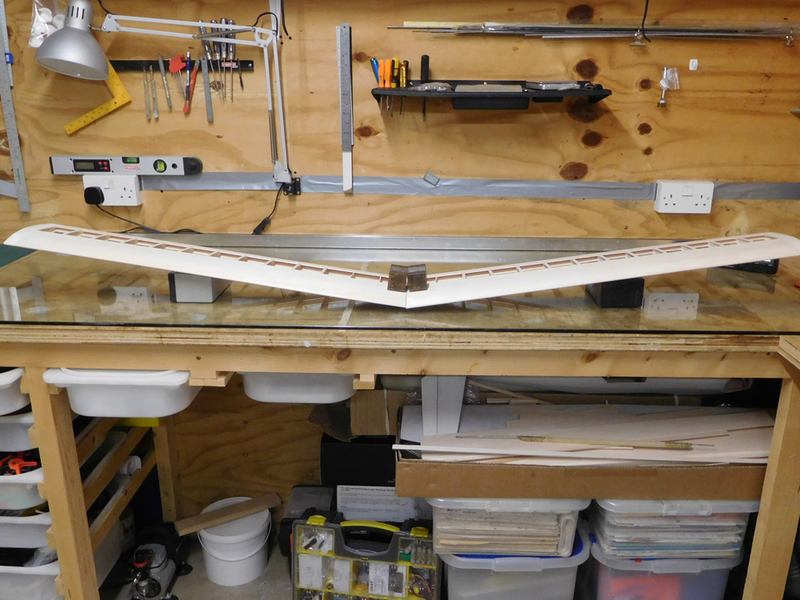 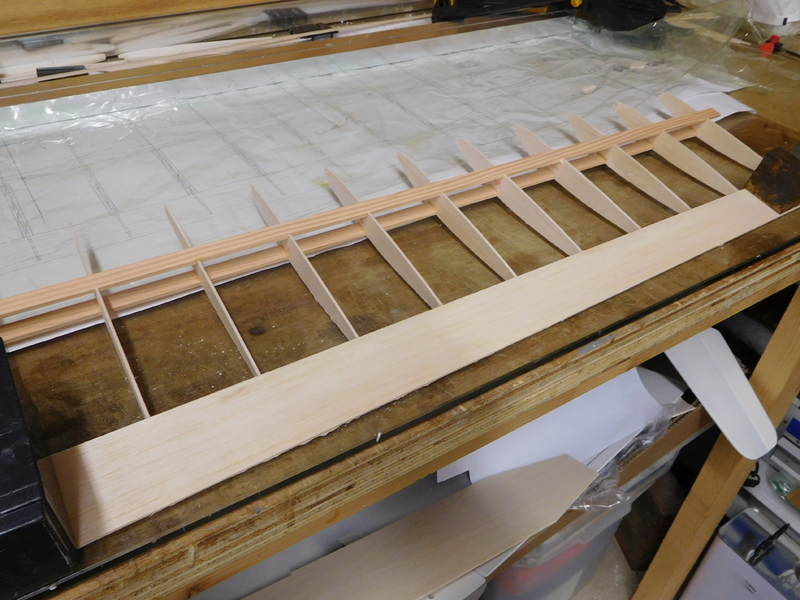 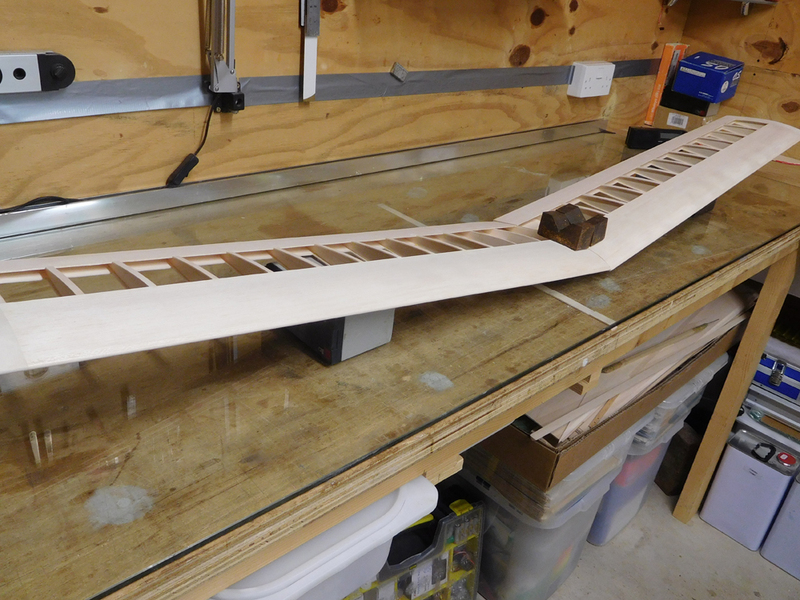 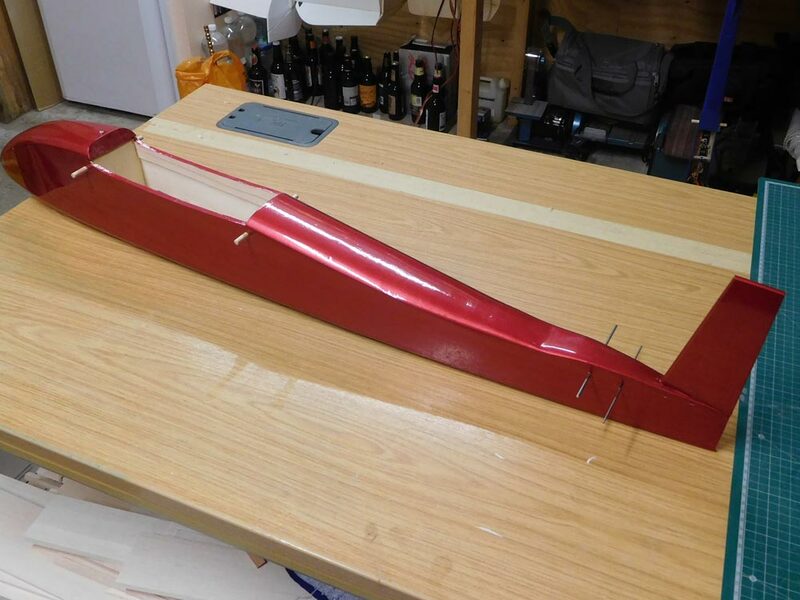 2 Wing panels, not on the origonal plan, but I've added shear webs to the inboard ribs. 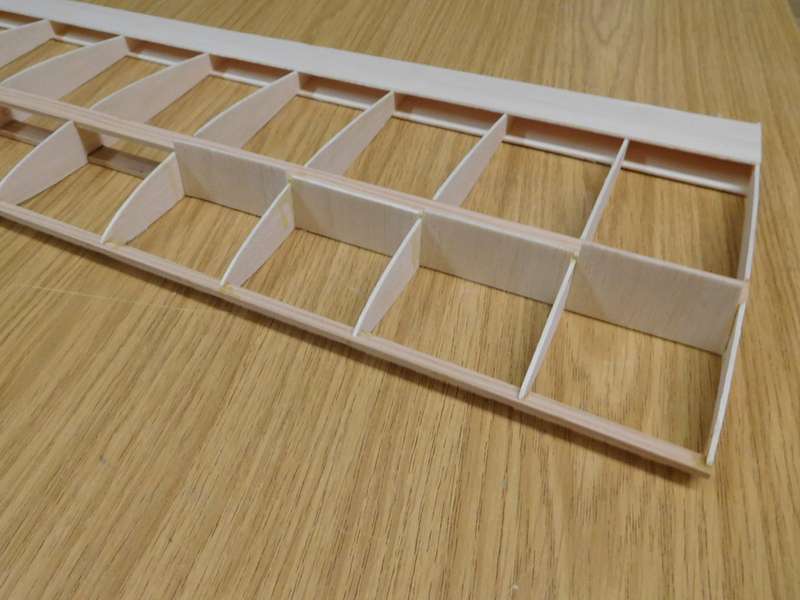 Wing panel transfered to CAD and wing ribs printed out. 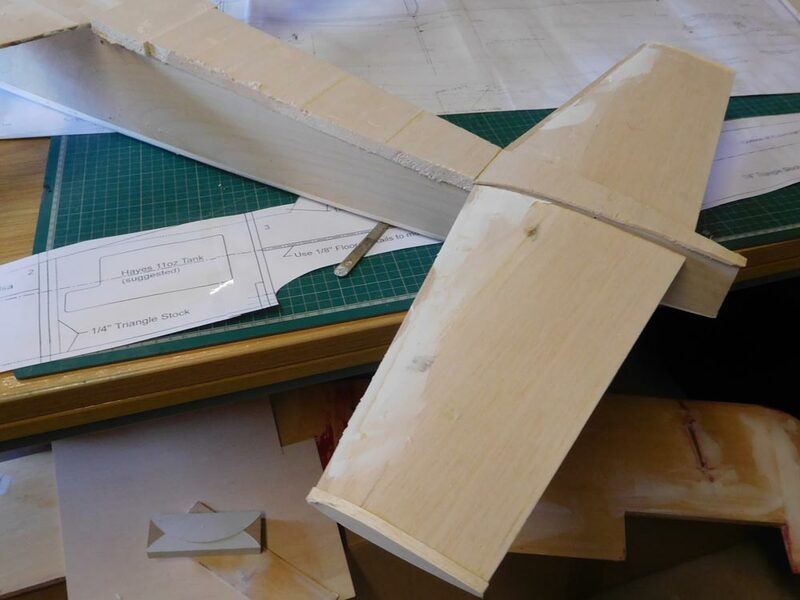 Wing being built over plan.